Since Lego mini-figures are basically the world's tiniest action figures, in terms of articulation, a multitude of accessories and customizability, we thought it would be fun to go down the list of the top 10 (in no particular order) unofficial Lego websites devoted to promoting the spirit of Lego mini-figure collecting. Designing your very own Lego mini-figure superhero? Then you need a custom cape! Or perhaps your custom minifig half-elf ranger needs a cloak of invincibility in your latest Brik Wars adventure. Then MMCB is the place to go for cloth accessories (capes, clothes, flags, etc.) that you won't get in just any old Lego set on the toy shelves! 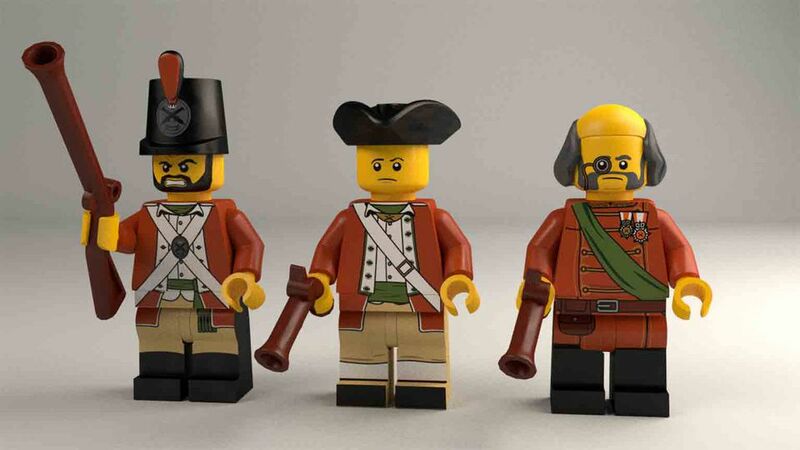 This is the be-all-end-all one-stop shop for buying, selling and trading Lego mini-figures. Need some more Stormtroopers or that elusive Series 1 zombie? You're in luck with BrickLink! Specializing is sci-fi themed custom mini-figure parts, Arealight is the place to go for building that army of Mandalorians you always wanted. Be sure to take a look at their killer "crystal" parts. Unbelievable custom mini-figure parts including particularly beautiful stars and stripes emblazoned shield that would have been carried by a certain patriotic Avenger. Excelsior, true believers! Armor, clothing, headpieces, and weaponry for Lego mini-figures with a particularly ancient Japanese feel. Time to build that Samurai army! Guns! Swords! Weapons galore! All custom designed, expertly molded and ready to be put into the hands of your mini-figure warriors. Be sure to check out their retro ray-gun series! Pew! Pew! Pew! Custom weapons (and some cooking utensils) for Lego mini-figures. Like their motto says; "Even the purists will relent!" Not to be confused with the role-playing Lego rules "Brick Wars", Brick Wars Sets is a complete guide to Star Wars Lego sets. It's like D&D for Lego Minifig enthusiasts! Get all the rules for the game here along with dungeon building advice and tips for customizing your character's mini-figure. 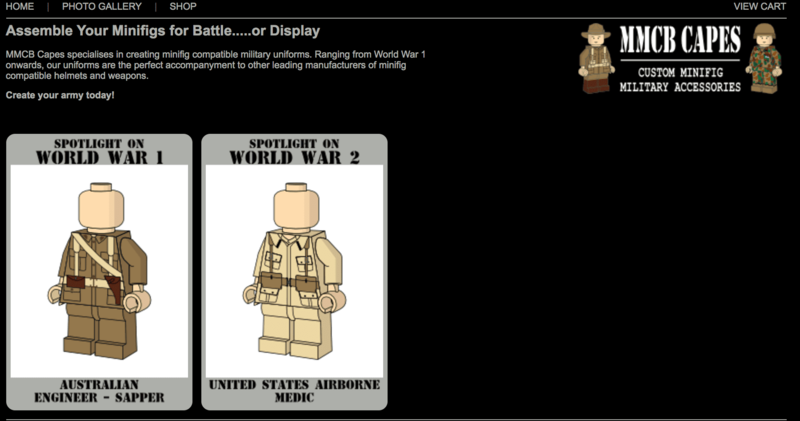 The ultimate Lego fan site, celebrating collecting and building with creation showcases and much more! If it has to do with Lego, you'll find it here.